Splatter enemies and claim your turf as the ink-spewing, squid-like characters called Inklings in Nintendo's new third-person action shooter game for the Wii U console. Challenge your friends in chaotic four-on-four matches, in which the goal is to get your ink on as many places as possible and claim your turf, all while strategically submerging yourself in your team's colors and blasting your enemies. Each match feels like a fresh new experience, and it’s all done with a sort of “makes too much sense” grace that I’m legitimately surprised we haven’t seen done before. And now, in today’s age of downloadable content, I’m sure we’ll be seeing some additions that address my concerns about the title. 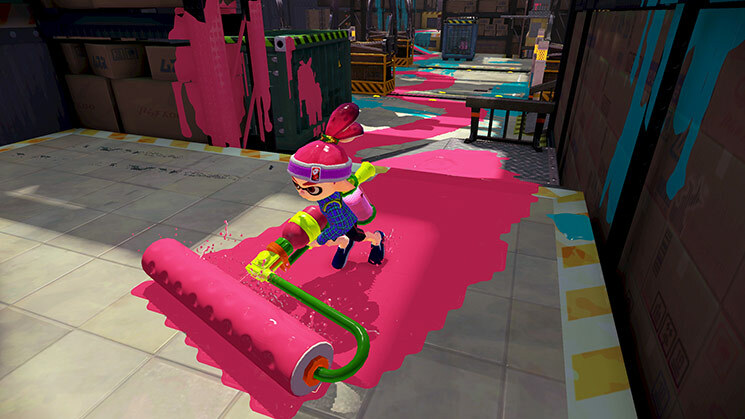 Splatoon is a game that isn’t afraid to get messy, and in this case, messy is absolutely a good thing. The game's single player is surprisingly in-depth for a title that has been marketed as a multiplayer game, combining elements of platforming and shooting in a style of game that reminds me of Ratchet & Clank or Jak & Daxter. ...Ultimately, however, multiplayer is the main event - even if singleplayer is nice - and if nobody in the house is going to try much multiplayer you might want to rent or skip the game. ...It shouldn't be as good as it is... but who am I to deny something this inkredible? The single player elements and the local multiplayer also present a way to enjoy the game when you're not geared up for the chaos that comes from fighting others online, and provide a useful reprieve if your internet cuts out. 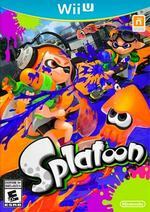 Splatoon is easily the freshest shooter in years and delivers superbly on all fronts; we have an inkling you'll love this. Splatoon is clever, creative, and fun. 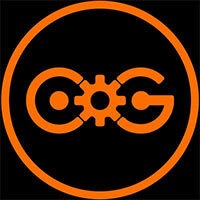 The multiplayer is a fun twist on the team-based shooter. However, the single-player campaign is surprisingly the best thing in the game. It offers the kind of quality level design you’d expect from a Mario title, but with a healthy dose of shooter mechanics. The campaign isn’t as long as one you’d find in a modern Mario game, and the multiplayer can get stale thanks to a current lack of modes and a bizarre restriction on maps. It faltered in just a few places, such as the lack of voice chat, but overall it is another great new IP from Nintendo. The gameplay offers a fun new take on the genre, and presents a unique and enjoyable world. The visuals are stellar, and the soundtrack is very entertaining. The biggest star though is just the overall style of the game, with characters that will quickly endear themselves to every player. Splatoon is easily one of the most unique games of this generation, and one of the best as well. Splatoon is a novel title that is a blast to play. My biggest concern is longevity. With certain modes and features locked behind players reaching a certain level, I wonder how long its legs truly are. I want it to catch on, but with the paltry Wii U user base, and a quirky new IP at the helm, my fears are that no one will care about Splatoon in a month’s time. 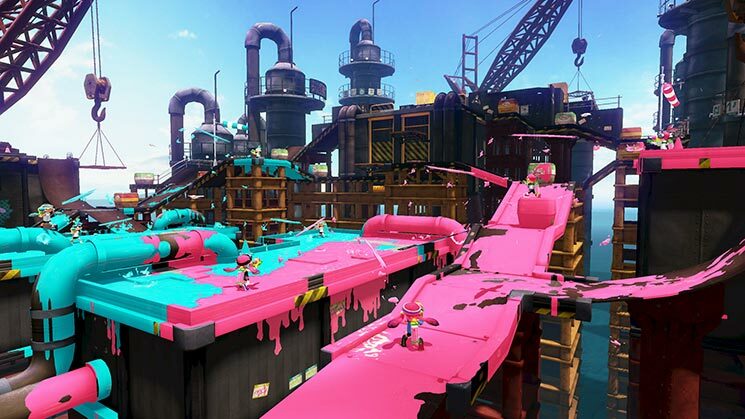 Overall, Splatoon makes for an amazing online game, likely the most engaging online experience Nintendo has ever made. The multiplayer, regardless of its lack of voice chat or randomized parties, is sublime, successfully making a shooter that is easy to hop into but tough to master. The single-player might be short and linear, but it’s a wonderful change of pace from the frenzy of online play. It’s frustrating to have to say that Splatoon will be better in a few months or to once again put up with Nintendo’s lack of understanding about robust online options. ...And yet, given the Wii U’s lack of fresh, constant releases, I don’t know that you should wait to pick this one up. Splatoon is one of the most unique, satisfying, and enjoyable games I’ve played lately—either on or off Nintendo’s current console—and having a good-but-incomplete game now is sometimes better than having a great game later. As of launch, though, Splatoon has enough going for it between the single-player and multiplayer to keep me happy. Nintendo has built two separate gameplay tracks that use the same mechanic yet feel discrete. They’re both a ton of fun, and they both have some obvious areas ripe for improvement. I can’t say whether Splatoon will become the next big franchise for Nintendo, with sequels every generation and spin-offs and endless fanboy buzz. But after this strong debut, it certainly deserves some attention. In some ways, Splatoon's online component is disappointing, and the lack of so many features will likely push other shooter fans away. But most of those shortcomings can be forgiven in my mind because of how damn fun it is. As a shooter it's refreshing, and as a 3D platformer it's up there with some of Nintendo's greatest creations. ...All Nintendo needs to do is keep supporting Splatoon, because the foundation is fantastic. Splatoon may not offer much “content” out of the box, but it does offer enough reason to keep coming back to it, hungry for more. ...It balances strategy with anarchy in a riveting way, and nails the balance between instant gratification and heartbreak as players obsessively cover their world with color and have to watch as their hard work is consistently overwritten in a way that only makes one more desperate to hit back. Splatoon can be intensely tactical, and its end-of-battle results screen after a close match is genuinely tense. But these moments can't overcome the thinness of Splatoon's package. Splatoon is a great game that may be outstanding in a few months’ time. If Nintendo delivers in a big way with the planned free updates, it could absolutely be a must-have for the system. As it stands, Splatoon is a mechanically solid shooter set in a delightful world, but just doesn’t have enough to it to truly make it exceptional. While the multiplayer falls short on content, the single-player campaign is surprisingly engaging, featuring 27 stages with creative design. 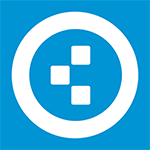 These levels feature a strong mix of platforming, puzzle-solving, and shooting. 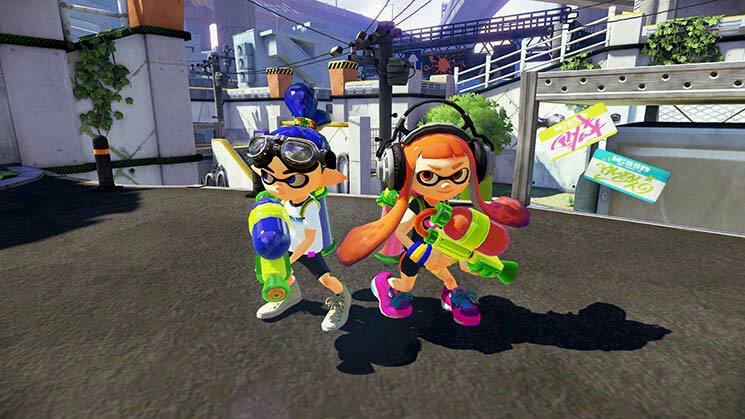 ...As entertaining as it is fast-paced, Splatoon is a strong addition to the Wii U lineup. My enjoyment of what Splatoon has to offer is only offset by Nintendo’s scant offering out of the gate. I find myself impressed with Splatoon, for underneath that cartoony and childish facade is a deep and fun multiplayer shooter with multiple ink-splattered maps, weapons for waging Turf Wars, and clothing sets to boost my abilities. Splatoon is all about staying fresh, and despite its lack of content somehow manages to remain just as appealing after twenty hours as it was in its first. 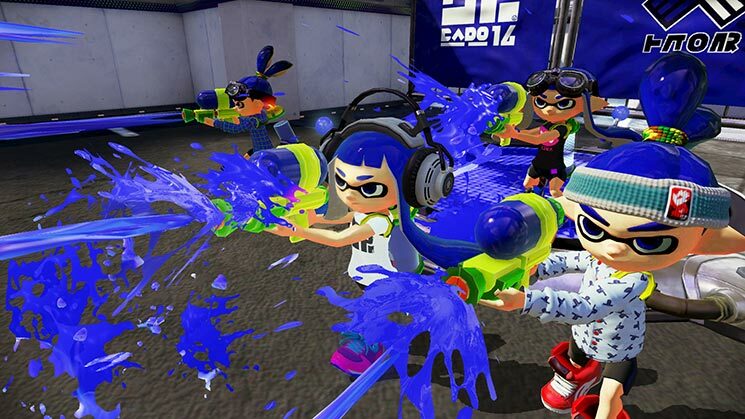 Its core gameplay is so unwaveringly solid that it’s bound to only become better as more maps, weapons and modes are released in the months after launch, but even now Splatoon might just be Wii U’s long-awaited killer app. Online matches are the core of the game, so it may seem weird that it's so easy to overlook things like missing voice chat, but I would be a fool to let missing features get in the way of the readily available joy I feel from simply swimming and shooting. ...Splatoon is the antithesis to the modern shooter, but it primarily deserves recognition for what it is, not what it isn't. It's a wonderful game with charm and inventive ideas that work and pave the way for new experiences in an otherwise stale category of games. Nintendo’s take on the third-person shooter is refreshingly original, with lots of impressive tools, skillful mobility, and creative maps to play with. Matches are consistently fun and tense, and the mechanics feel simple and fair enough that almost anyone can contribute positively. Not having voice chat is a bummer, but the great modes and maps feel polished and kept me claiming turf for hours. For its merit, it has that simple, pure, fun factor that keeps me coming back, even after memorizing every nuance of each board. Yet with a sparse selection of maps, a single match type for each mode, and what feels like a dousing of turpentine on character customization and choice, in the end Splatoon feels like purchasing an expensive gallon of paint, only to crack open the lid and find just a quart of paint within. Nintendo promises to fill that can at no extra charge, but unfortunately that means day one purchasers will go home and start painting, only to feel like the job is half finished. Playing through Splatoon felt smooth and that’s because the game is running at a dreamy and stable 60 frames per second. ...Despite the lack of content at launch, the title is incredibly fun. Even if there are only two modes available so far, the gameplay is so unique that a purchase is worthwhile. I do believe it could have more potential if it included voice chat or an extra mode or two at launch, but past that, Splatoon has the kind of longevity that will keep me playing for a long time. It's been a minute since a game in this genre felt so vibrantly and positively energetic. That positivity permeates every piece of Splatoon, from its brightly colored, cartoonishly animated visuals, to even its hub world.... Splatoon is simultaneously proof that Nintendo can still deliver tremendously entertaining experiences outside of its usual wheelhouse, and an example of how even the most leaden genres can be twisted to new and delightfully creative ends. Effortlessly charming, compelling and a solid start to what may well become one of the company's regular franchises. There are niggles with the game's control and lack of offline content, but there is certainly plenty of potential for Splatoon going forward, particularly through download content. In almost all respects, Splatoon is a satisfying game. It’s an online game which is incredibly fun to play, and one which runs really smoothly despite tracking a lot of endlessly changing information. It’s backed up by a really enjoyable single player portion, and from here you can see how people can pour countless hours into this game. It’s all about covering the environment in coloured ink, and yet it’s also so much more than that. 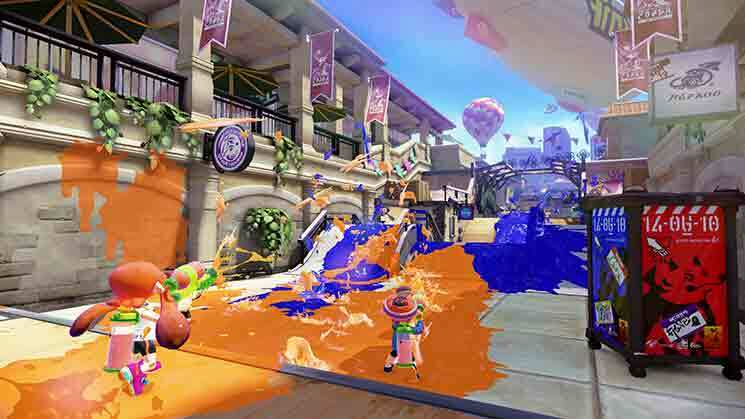 Splatoon is to shooters what Mario Kart was to racers: it emphasizes pick up and play fun. It’s a fun and lighthearted game with some great mechanics and focus on elements of the shooting genre that have never been looked at the same way before. The world is alive with color and paint and is a treat for the eyes. While the initial amount of maps and modes may be deterring, the sheer fun of the game manages to outshine any strong negative feelings I had. It’s not a perfect game, but it’s fun: plain and simple. Splatoon tiene enormes ideas novedosas, empezando porque para ganar tienes que pintar el escenario, no liquidar a tu rival. ...Sin embargo, cuando nos metemos en materia jugable se notan las carencias y la falta de experiencia de Nintendo, ofreciendo muy poco contenido inicial y fallos jugables básicos, como el atroz desequilibrio entre armas y la comunicación entre usuarios, completamente capada. Splatoon es un juego que tiene una sola misión y la cumple desde la primera partida: divertir. ...No se trata de eliminar a los enemigos como un shooter cualquiera, y es que la pintura juega un papel fundamental para entender que es más que es un juego de disparos: rellenar el escenario de tinta sirve para ganar la partida, eliminar al rival, movernos a mayor velocidad, escapar, escondernos e incluso buscar caminos que no existían. Esto hace que cada partida tenga momentos únicos y rara vez se caiga en la repetición. Splatoon es sinónimo de diversión pura y directa. Desde que cojamos el mando hasta que lo soltemos nos lo pasaremos en grande jugando con él gracias a una propuesta totalmente original, única y novedosa que consigue insuflar nueva vida a un género demasiado estancado y saturado a día de hoy. 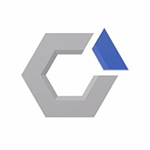 En definitiva, un juegazo que se reserva su mejor caviar para los próximos meses y nos llega al insólito precio de 34,95€ (39,95€ dependiendo del establecimiento) para que nadie se resista a catar el juego más adictivo del catálogo de Wii U. Quien no lo pruebe, no entenderá el merecido 90 que le he cascado, y mirad que soy más de carne que de pescado. Splatoon es un caso difícil. Por un lado es un título lleno de innovación, personalidad, color, diversión y calidad. Por el otro, simplemente se trata de un lanzamiento demasiado adelantado que se siente un poco escueto en cuanto a contenido jugable. Oui, Splatoon est original, fun, drôle, addictif et surprenant. Son concept fait mouche dès la première partie et ce qui peut sembler être un joyeux foutoir pour les néophytes cache en fait un titre à la dimension tactique hors normes qui demandent aux joueurs d'être particulièrement soucieux de ce qui se passe partout sur le terrain pour être vraiment efficace. L'arrivée de Nintendo sur le jeu de tir à la troisième personne apporte un bol d'air frais, avec des outils impressionnants et une mobilité dans les combats qui est bien mise en avant. ...Néanmoins, Splatoon nécessite vraiment un contenu additionnel à venir, dès que la communauté sera plus importante. Le chat vocal n’est pas disponible et cela est bien dommage. Mais ce que nous avons pour le moment semble bien fait et m'a occupé pendant des heures. C'est là que ce chef d'oeuvre dévoile les différentes couches de son gameplay, au travers des nuances apportées par l'arsenal. La variété d'approches qui en découlent font de chaque partie une toile différente, de sorte que l'on a toujours envie de se replonger dans la peinture. En attendant ses prometteuses évolutions, Splatoon a donc déjà de quoi "s'encrer" parmi les références multijoueurs, et de façon indélébile. On savait depuis sa première présentation que Splatoon avait du potentiel, autant pour sa relecture habile des mécaniques du frag en arène que pour son univers original et presque insensé, qui suit d'une certaine manière la tradition de plusieurs grandes licences loufoques de Nintendo, Mario en tête. ...En l'état, on se retrouve donc avec une bonne base de jeu qui devra être étoffée en contenu par les futures mises à jour, en espérant qu'elles tiendront toutes leurs promesses ludiques. Du côté du character design, on sent bien que le jeu n'a pas été développé par les dinosaures de Kyoto, et que le look des personnages est autrement plus funky que ce que l'on a l'habitude de voir chez Nintendo. Malgré cette initiative appréciable, Splatoon a encore besoin de temps avant d'arrivée à maturité, aussi bien sur le plan visuel qu'au niveau du contenu. Mais la base est là et c'est bien là l'essentiel pour une nouvelle marque qui ne demande qu'à grandir. De momento, avaliar Splatoon não é tarefa fácil. O jogo já se encontra num patamar interessante de qualidade mas o lançamento parece algo prematuro com a falta de alguns modos de jogo e a conclusão final tem de reflectir o jogo no momento em que é analisado. O futuro vai oferecer mais e melhor conteúdo e daqui a uns meses será certamente um título obrigatório para a Wii U.
Não é fácil apresentar uma nova propriedade intelectual, que de uma assentada, vira um género de “pernas-para-o-ar”, apresentando um conceito claro e simples de comunicar, mas que esconde uma profundidade minuciosamente desenhada e enriquecida por um single-player que nos prova até onde é possível ir. Splatoon entra directamente para os obrigatórios da Wii U, uma consola que insiste em navegar contra a corrente da forma mais inteligente, com qualidade. Da un certo punto di vista, Splatoon è un autentico trionfo di stile, che cambia faccia agli sparatutto con la sua indole scapestrata e le sue meccaniche vincenti: c'è poco da fare, Nintendo è incredibilmente riuscita a lasciare la sua deliziosa e riconoscibilissima impronta anche su un genere a lei decisamente poco affine, creando uno sparatutto online in terza persona freschissimo, mostruosamente divertente e soprattutto diverso da qualsiasi altro. Con Splatoon, Nintendo fa un passo in un territorio ad essa finora sconosciuto, ma lo fa senza rinunciare al suo proverbiale modo di intendere i videogiochi: rifiutandosi di seguire percorsi già tracciati da altri, la grande N anche stavolta ha fatto di testa sua, realizzando un prodotto fresco e divertente, dotato di un invidiabile mix tra immediatezza e profondità e in definitiva incomparabile a qualunque altro sparatutto online uscito finora. Splatoon оказалась в парадоксальной ситуации: Wii U лишает её шансов показать себя огромной аудитории шутеров, но в то же время защищает от той части геймеров, которая бы заведомо холодно восприняла её необычные игровые механики, непривычный для жанра художественный стиль и сверхъяркую палитру. Но это не мешает Splatoon быть великолепной игрой с инновационной, выверенной до мелочей и очень комплексной концепцией. Японцы выпустили очень веселую игру с увлекательной, а главное оригинальной механикой. При этом карт, пушек и режимов в ней до обидного мало, и это не позволяет уйти в нее с головой на недели. По сути, нам представили лишь фундамент, дали взглянуть на ранний прототип серии, которая в будущем может стать новым символом Nintendo. Потенциала у Splatoon не занимать, а вот контента... Словом, ждем DLC. Ну а пока – «Ведьмак». Splatoon is te vroeg uitgekomen. Er zitten slechts vijf maps en twee modi in deze multiplayer shooter. Dat is spijtig, omdat de gameplay zo uniek en ijzersterk is, zoals we dat van Nintendo gewend zijn. De singleplayer is te gemakkelijk, maar door de gevarieerde levels erg vermakelijk. Er zit alleen geen replay value in, waardoor je je geluk zal moeten testen in het irritante perk-systeem of je gaat irriteren aan het feit dat het te moeilijk is om met je vrienden te spelen. Meer modi, maps en wapens zouden een toffe game nóg toffer maken. Je hoeft je alleen geen zorgen te maken, want zelfs zonder is Splatoon nog steeds de moeite waard. Als er een game is die je Wii U deze zomer verdient, dan is het Splatoon wel. Nintendo heeft het voor elkaar gekregen een uniek concept uit te werken tot een volwaardige, leuke third person shooter. Een leukere shooter op de Wii U bestaat simpelweg niet! I vissa lägen känns Splatoon som ett större demo på grund av bristerna i valmöjligheter när man kör online och/eller med sina kompisar lokalt. När man väl är i arenan och fightas så är det ett riktigt intressant koncept och variationen mellan "människa" och bläckfisk ger möjligheter till stor variation på hur man spelar spelet och hur banan utnyttjas. När det hela väl drar igång och lobbyn ständigt är full så har Splatoon potentialen att erbjuda många timmars spelglädje!